It’s come time to retire my little old laptop. It overheats, turns off and on on its own command, is the equivalent weight of a pile of bricks, and despite multiple battery replacements over the years it can last only about fifteen minutes when not plugged into an outlet. I want to retire it now before one day it just decides not to turn on any more and I have a major melt down. I’ve been thinking this for a while, but with NaNoWriMo looming, my fear that the computer would just call it quits in the middle of a massive write-in session has been keeping me up at night (I kid you not). I wrote my very first novel on this computer. We’ll just combine #5 and #6 together and call it one full book, shall we? How many book-shaped things have you written on your current computer? Since the 48-hour reading challenge in June, I’ve read three books that qualify. How I Discovered this Book: I discovered Annie’s blog when trolling WordPress for young adult writers blogs years ago, started following it, and have been looking forward to the release of her first novel ever since! Thoughts: This was, no exaggeration, the best (and most realistic) contemporary YA book I’ve read in a long time. I feel like most contemporary YA falls into one of two categories: either the characters experience something Truly Terrible and Horrifying–like a drug addiction, a violent life-changing car accident, or cancer, etc.–or the conflict of the novel is developed out of a few high-school specific obstacles like “my boyfriend dumped me,” or “I’ve lost my best friend and I don’t know why.” These, of course, are all valid plotlines that appeal to many readers. But, personally, I don’t strongly relate to these experiences and don’t enjoy reading them as a general rule; as a result, I haven’t really enjoyed that subgenre of YA for a few years now. I didn’t realize what was MISSING in my life and what I WANTED DESPERATELY from a YA novel until I finished this book and was like, YES. THIS. YES. While main character Alex deals with some normal high school troubles–liking a boy, driver’s ed (which, by the way, isn’t discussed ENOUGH in YA, learning to drive is a huge momentous moment and stresser in the teenage years), etc.–the focus of the book is on her mom’s mental break down. She thinks she’s Amelia Earhart and nothing and nobody will convince her otherwise. Alex’s home life is in shambles as the family tries to struggle through this hardship. While a common complaint I have about YA is that the parents simply disappear from the story, the family is the front and center of this book. Which is so accurate to the actual teen experience! I don’t know about you, but the drama and events of high school were a minor portion of my life during those years. I spent most of my lifetime at home with my family, on weekends, after school, during the summer. What they did and what happened at home dominated my life and colored my experiences out of the home. Family problems just don’t dissipate when you walk out the front door–my freshman year, my dad had a massive heart attack and later was diagnosed with an aggressive form of skin cancer; my concerns about his health were constant worries for me. For personal reasons, I really appreciated and related to this book. It is beautifully written, the relationships complicated and artfully drawn. It’s gritty, honest, heartbreaking, true. An absolute must read. How I Discovered this Book: I won an ARC of Claire’s first book, The Cavendish Home for Boys and Girls, through YA author Nova Ren Suma’s blog a few years ago as a giveaway. 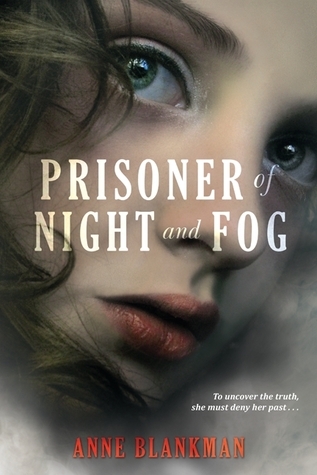 I loved the book and started following Claire’s blog, and kept informed of each new book release. 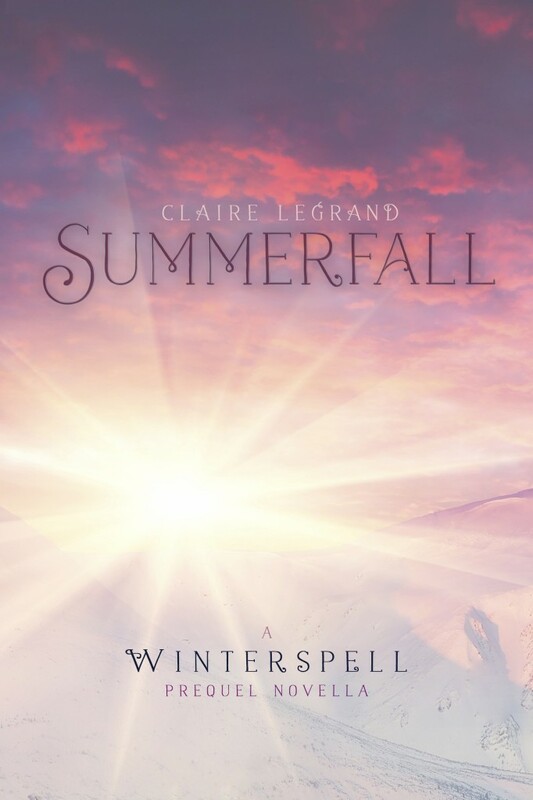 Her first two books were middle grade fiction, which I love, but I was particularly excited for her first YA book, Winterspell, due out September 30th, and jumped on this prequel as soon as it published. Thoughts: I loved the world–it’s the land of Cane, where fairies, humans, and mages all coexist…though not peacefully!–and the descriptions of the fairy culture were tantalizing. The clothing, dress, hairstyles, etc….loved it. 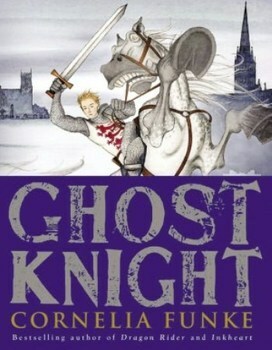 However, it seems that this prequel was the origins story, sort of, of the main character in the forthcoming Winterspell. This prequel was therefore the story of how the main character’s parents met, fell in love, etc. Personally, I didn’t really like their love story, though, so I’m glad that Winterspell will have the world I like so much but a whole new set of characters for me to meet and enjoy their new adventures. Can’t wait for the full-length novel in less than a month! How I Discovered this Book: By following Claire Legrand’s blog, I discovered that she had started a new blog with other writers (I had read co-creator Katherine Catmull’s Summer and Bird prior to this and LOVED the writing, so was extra excited about this collaboration effort) called The Cabinet of Curiosities where they weekly post creepy little short stories. This book developed out of that. Thoughts: A collection of short stories for a middle grade audience, this collection appealed to me right away because I like short stories, but there are almost never collections of them focused on a YA audience, let alone a middle grade one. 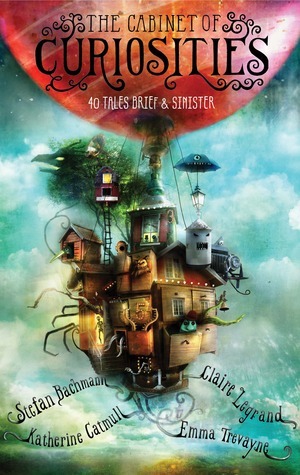 The book ended up being a fun collection of a huge variety of story ideas, full of an impressive amount of imagination, a variety of monsters, unpleasant magic, and horrible things, perfect for readers who like stories that don’t end happily ever after! This is probably going to be the strangest sentence I ever typed, but this book was a cross between Feed by M.T. Anderson and the movies Failure to Launch and Pretty Woman. 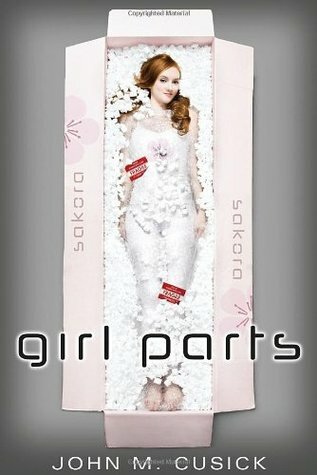 Set in a not too faraway future, where teenagers use the internet so much that they’re starting to suffer from “dissociative disorder,” robot female companions have been invented to help the boys develop “real” relationships and reconnect with reality and, hopefully, their moral consciousnesses. It was an interesting idea–I was still thinking about the plot line days afterwards–but not really my cup of tea, mostly I believe because of how similar the futuristic setting was to Feed, another good book (for others) but set in a world I didn’t really enjoy visiting. There’s that argument that there are only a few stories that can be told and we retell them over and over again. From the first page, it was clear that this book was one of the “boyfriend breaks up with me, I want him back, but by the end of the book I’m going to realize he was wrong for me and fall in love with the right boy,” variety. 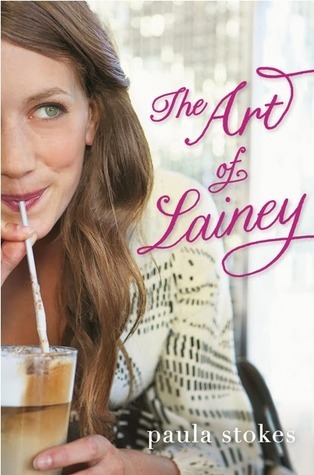 The title is a spin off of The Art of War, the summer reading title that Lainey ends up pulling advice from to fight for her boyfriend back (cute and clever, no?) 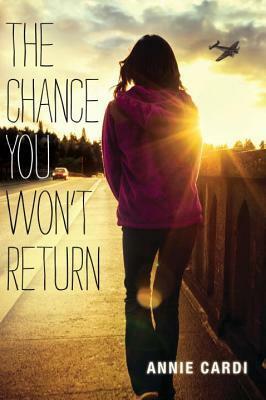 But this book was so much more than a standard YA romance. It was so detail-rich–the setting in a suburb of St. Louis, the goth/rock subculture, the really fleshed-out relationships with best friends–that it was full of plot twists, turns, and surprises that I totally wasn’t expecting from what I never anticipated. Mizz Creant’s House of Torture (and Pancakes) for example? With tons of torture-themed breakfast options? With probably one of the “baddest” and dearest “bad boy” character I’ve read in a long time, I was really impressed by how complicated the emotions and world building was. Besides the slight technicality of the main character’s age (she’s a rising high school senior) which actually didn’t affect the plot or characterization in any meaningful way, I would actually say that this doesn’t feel like YA, but New Adult. Personally, I imagined all of the summer shenanigans that went on to be more believable for characters just finishing their freshman year of college, or even older. (Perhaps this is based off personal experience, as I wouldn’t have really been able to relate to many of the things that happened in the book–drinking parties, dance clubs, etc.–until I was a more mature and experienced college student.) I actually think this is a selling point for this book, though, for those readers who desperate for some YA books with older themes, as there isn’t much out there on the New Adult market yet. I actually started this challenge mostly to read this book, but, as I often do, I kept putting off the book I most wanted to read because I wanted to save the most guaranteed feeling of book-enjoyment until the end. As a result, I only got 50% through, though! Annie Cardi is a lovely writer whose blog I’ve followed for years, all the way back before this book was a book and the WIP title was still Queen of Glass, I believe. 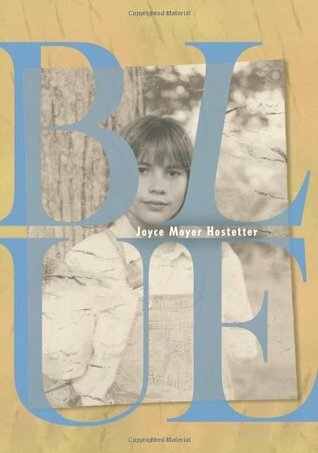 I’ve enjoyed her blog and her short fiction and as a result I was eagerly anticipating this book for years! Annie was also the one who introduced me to the 48-hour reading challenge, so I thought it would be a fitting tribute to read during the event. So far, the book is lovely. I’m in love. But I’ll have to save the review for my next post. I think I’m going to keep reading the stack of under-reviewed books I have set aside for the next few weeks. I’m itching to read them all and am a little disappointed that I didn’t make it through more books this weekend or get more reading time in. I ended up having a busier weekend–and probably the most perfect summer weekend–than I expected. A beach day with my best friend, who I haven’t spent time with in too long. A backyard projected screening of Up with my sister and friends. A flea market adventure, some time spent at the pool, and the release of the third season of Sherlock all combined in the same 48 hour period! It’s hard to regret not reading more, with so many amazing things happening. It was a great weekend, for both adventures and reading, and I’m so glad I participated. Until next year! Ever since I read about the 48 Hour Book Challenge last year, when the lovely Annie Cardi participated, I have been eagerly anticipating the return of the annual event so I could finally participate myself. And it’s finally here! This very weekend! Starting this very day! The idea? Set aside 48 hours dedicated to reading. Within those 48 hours, the goal is to read between 12-48 of them. Despite having some exciting and time-consuming plans in the next forty-eight hours that require my nose to be very distinctly outside the pages of a book, I still wanted to commit to participating. One, because life has been so busy lately that I’ve been desperately craving a reading binge, and this official event gives me the perfect excuse to burrow with a stack of books I’ve been eyeing for months without any interruptions. Two, because I find that after reading a lot–really providing fuel for my brain–I suddenly feel the urge to write a TON of whatever WIP is on my desk. And who wouldn’t be interested in stimulating an inspired jump start on that current novel-in-progress? I’ll admit that I’ve been so nerdy about this challenge, that I’ve actually surprised myself (have I surprised any of you? No, probably not). I’ve been planning it for a few weeks now, in a giddy, obsessed, can’t stop talking about it to everyone sort of way, the way I can only remember replicating when I was planning my sweet sixteen birthday party way back when (it was a tea party on the last day of summer, with antique tea cups I picked up at flea markets, and it was awesome). 1. I never write book reviews on the blog, and writing a short review of each book I read is a requirement of the challenge. I don’t write reviews as a general rule mostly because I personally don’t like writing them (though I love reading other people’s! Keep those reviews coming, folks!) So if I was going to make an exception to the rule and post reviews, I really wanted to make them special, important, and valuable book reviews, to both readers and authors alike. In my opinion, we don’t need to publicize yet another general review of The Hunger Games or Harry Potter, at this point. At least, you don’t need mine for any particular reason. 2. I mentioned to my boyfriend a few weeks ago that there are so many books in the world and so little time, that I’ve recently installed a policy where I almost strictly read books that were personally (and highly) recommended to me by a friend who I trust with taste similar to my own or books that have been read by thousands of other readers, resulting in an extremely high rating on Goodreads. His response? “That’s kind of sad. Don’t you want to be a person who discovers amazing books nobody else has heard of yet?” I was instantly struck with such a deep sense of shame because YES I DO! I WANT to read AMAZING books whether other people have heard of them or not! Discovering a book and then recommending it to everyone I can think of is part of the great fun of reading; at least, it used to be for me. What happened to the good old days when I would pursue the library shelves for hours and pick out about ten random book that tickled my fancy, read them all, and then repeat the process two weeks later? Now, I go to the library with an edited list of titles decided upon way in advance and I don’t even glance at other lonely and chock-full-of-potential books on the shelf. This is wrong, and I want to change that. To be included in my list of options, I had to already own the book or, for a limited exception, a way of acquiring it for free. This is mostly because I spend too much money on books as it is and I don’t need to buy more. Especially because I currently have about one hundred books piled about my condo that I have not read yet and want to. This seemed like as good a point as any to start chipping through the pile, instead of adding to it. The only exception I made was for the audiobook–long car rides cannot be wasted on a weekend as important as this were every minute is critical potential reading time!–that I’m borrowing from my local library. I know my list is improbably long and it would be physically impossible to read all of these books even if I didn’t sleep or shower for 48 hours, but I thought it was good to bring all of these books to the top of my to-read pile, to give them a little attention, and to give myself a wide selection to choose from each time I finish a book, depending upon my mood. If you’re interested in what I curated for myself, I made a mini list on Goodreads called 48-hours Too Few Reviews. If you’re interested in joining, there’s still time! Go join! And on that note, I’m going to get busy reading…right now! Back in 2012, I did some math (this alone is an amazing fact worth noting) and figured out that I wasn’t reading many “real” (i.e. physical) books. In 2012, of the 64 books I had read in the calendar year, 28 were physical books, 22 were eBooks, and 14 were audiobooks. Rounding up those percentages, that’s 44% physical paper books, 34% eBooks, and 22% audiobooks. In 2013, I read significantly more, clocking in at 98 total books read. (Sidenote: This is probably the most books I’ve read in a single year since middle school, when I had carefree, jobless summers in which I crammed book after book after book.) Of these, 46 were audiobooks, 29 were eBooks, and 23 were physical books. That’s 47% audiobooks, 30% eBooks, and 23% physical books. That’s almost a complete flip-flop in formats! While eBooks maintained the middle ground as my second-most-preferred method of reading, and maintained a similar percentage in the 30% range, audiobooks and physical books completely switched places. I clearly read significantly more audiobooks then I read in any other format this year. Why did this happen? I don’t think my reading method preferences have changed, necessarily, and that from now on I’m going to be consistently reading more audiobooks. If polled, I would definitely not agree with the statement that I like audiobooks best (though I am very fond of them). And I don’t think my changing percentages are a reflection of reading habits changing in the large reading community or an indication that there’s a general movement towards preferring digital over physical books. 1) My life was busier in 2013. I often have an audiobook on when I do housework; reading a physical book, on the other hand (excuse the pun), requires complete dedication of my mind and hands. I can’t hold a book with one hand, have my eyes on the page, and fold laundry with my free hand! Also, my eBook reading (22 in 2012) increased slightly (29 in 2013) while my physical book reading (28 in 2012) decreased slightly (23 in 2013). I think this trade off was due to the fact that I was often out–doctors waiting rooms, waiting in the car to pick up my little sister, etc.–where I had access to my phone, and thereby my Kindle reading app, since, being the forgetful person I am and the fact that I downsized to a slightly smaller purse that makes it slightly harder to pack a book at all times, I was often without other, more traditional forms of reading materials. 2) I think these numbers also reflect that I’m getting more creative in how I’m managing to squeeze more reading time into my life. If you round out the numbers, while I read roughly about an equal amount of eBooks (22 in 2012; 29 in 2013) and physical books (28 in 2012; 23 in 2013) in a year to year comparison, I nearly TRIPLED the amount of audiobooks I read. That’s about triple the amount of hours of my life I dedicate to listening to audiobooks in 2013! While I’m proud I read more this year, no matter the format, at the same time, I certainly hope to find more time in 2014 to read more and multitask less! Most of the past year I was so busy doing a million things at once (and worrying about all the other things that still needed to get done next) that I felt like I was unraveling at the seams. Reading will always be a priority, but having a few reading sessions this next year, curled up under a blanket with nothing else to do or worry about? It sounds like a nice thing aim for.